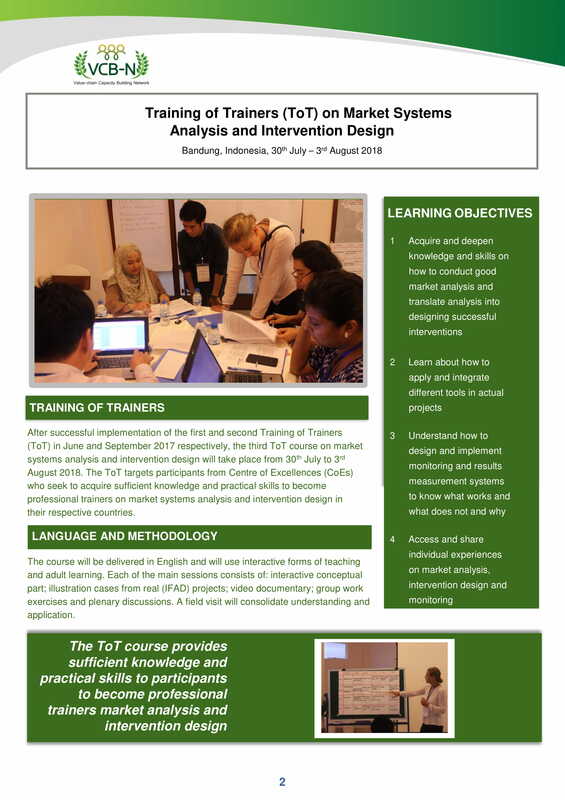 After the successful implementation of the first and second Training of Trainers (ToT) on Value Chains & Market system development, the third ToT on “Market Systems Analysis and Intervention Design” will be organized from 30th July to 3rd August 2018 in Bandung, Indonesia. 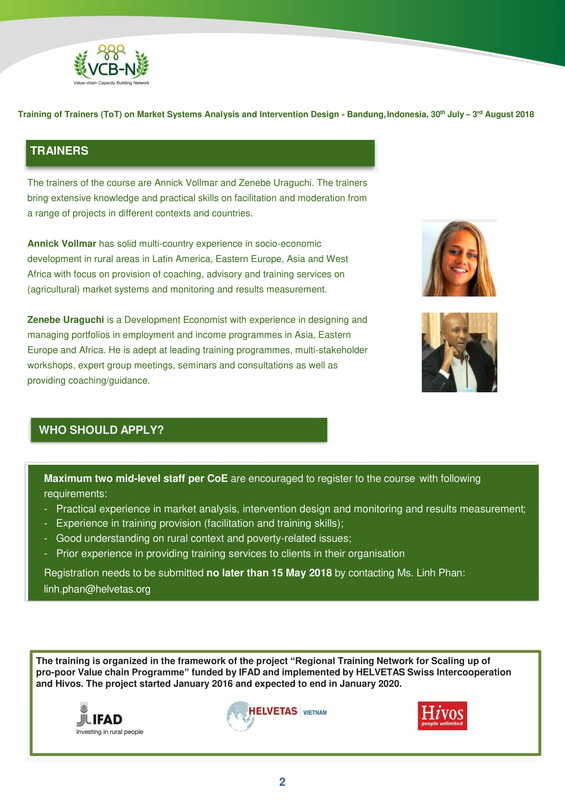 The ToT is organized by the Value-chain Capacity Building Network in the framework of ‘Regional training network for Scaling up of Pro-poor Value chains Programme’, funded by IFAD and implemented by Heveltas – Hivos. 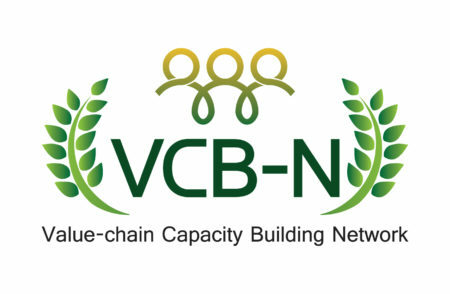 After the ToT, the training materials will be localized to adapt to the local context of the target countries namely Vietnam, Laos, Myanmar, China, Indonesia, India, and Bangladesh. 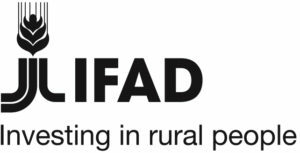 The ToT’s participants are expected to deliver training to IFAD and non-IFAD projects by using the localized materials, aiming at improving the performance and the impact of pro-poor value chain initiatives. 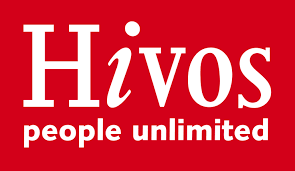 Priority for participation will be given to the Network’s members. Other interested participants will be considered when places are available.